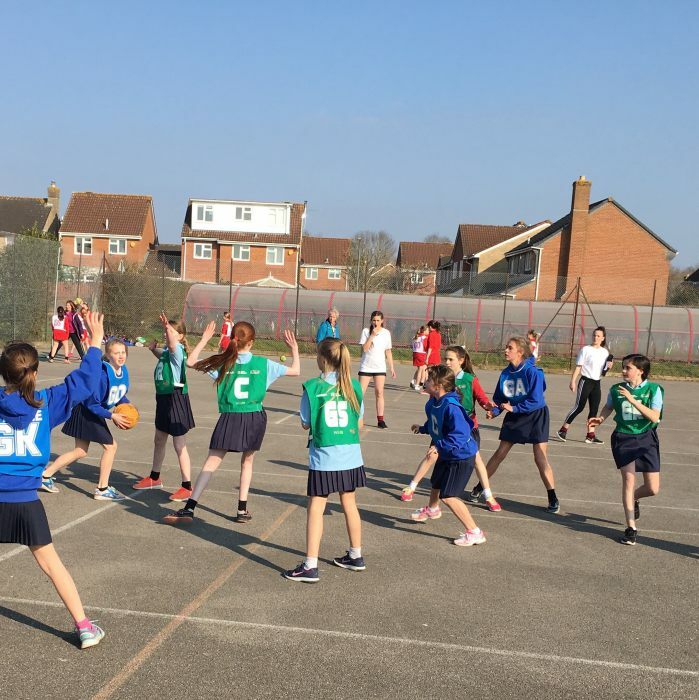 The year 6 girls took part in the first Small School Games Event of the year: High 5 Netball. They played extremely well, winning 3 out of their 4 matches and came second place overall. Read the match report here to see the full results. 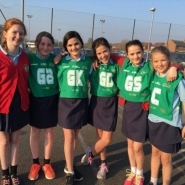 The Rangeworthy Girls continued their winning streak in netball today when they came 2nd overall in the Year 5/6 Netball County Final. 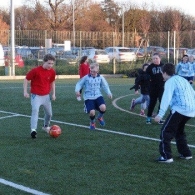 There were 16 teams taking part in total. These were all finalists and runners up from the previous round. The girls played 9 games in total; winning 6 of these and only losing 3. We were elated when we got through to the final but sadly lost to our opponents, Elmlea, who won 8-1. 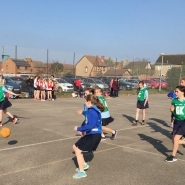 The girls played brilliantly and were determined to the end. Unfortunately, Sasha, hurt her finger very badly and had to be taken for an x-ray. She also played extremely well and it was sad that she was not there at the end to receive her medal. 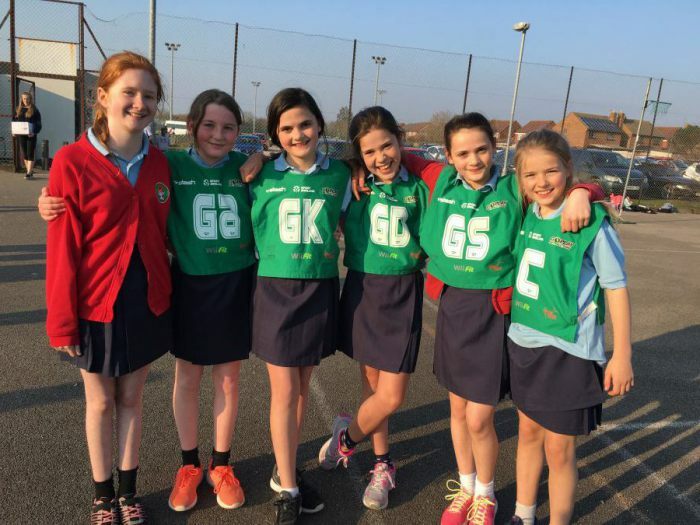 Well done girls – we are very proud of you all. A team of children from Years 5 and 6 took part in this competition. They played really well and certainly enjoyed themselves. Many thanks to our sports coach, Dani, from Roaring Rugby who supervised the team and to Mrs Bailey for all her help with transport. 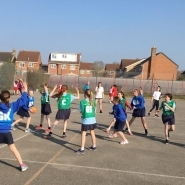 On March 17th , our Year 6 girls took part in the Yate International Academy Partnership Yr5/6 Hi 5 Netball Tournament. 14 schools took part altogether and we are extremely proud to say that Rangeworthy won! This is a huge achievement for our small school. 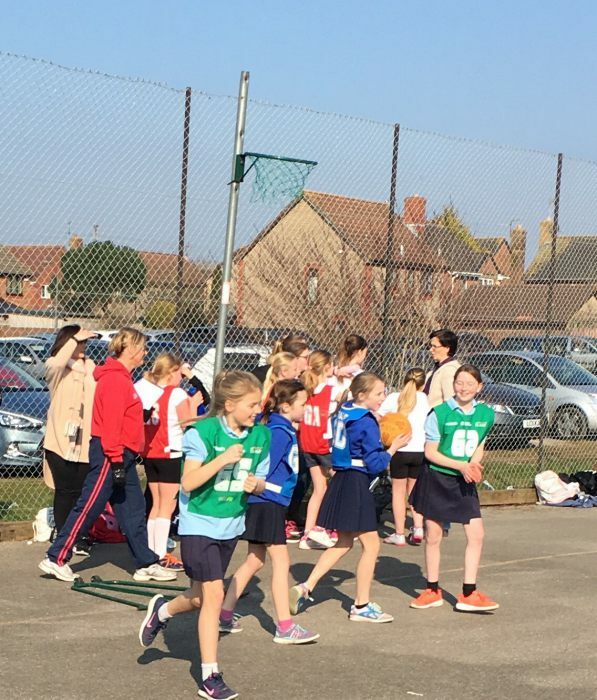 We have only 6 girls in year 6 – who all took part! 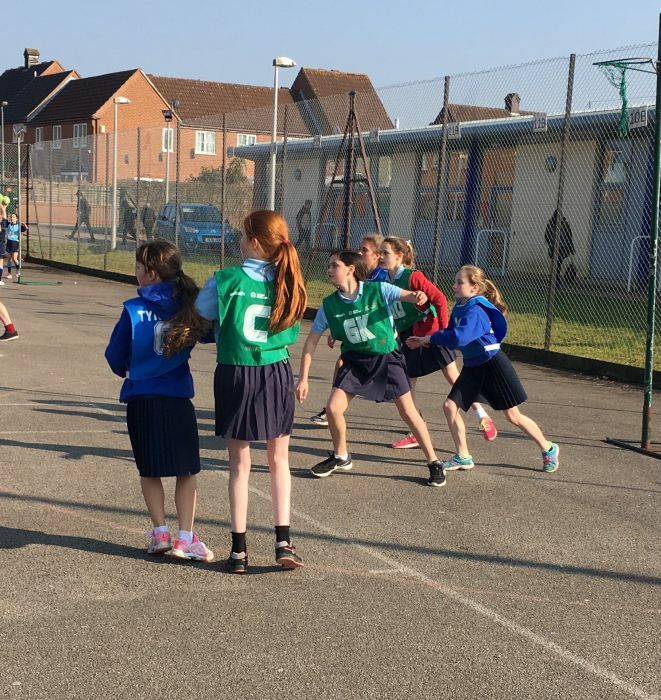 The team now go on to represent YIA Partnership at the Wesport Hi5 Netball Final on the 23rd April at Bristol Grammar School Playing Fields. Good luck girls! A group of year 5/6 children took part in this event and did very well. They won 3 out of their 4 matches in the first round and went through to the trophy round. 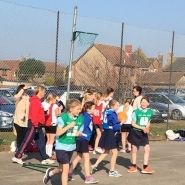 Then they played against Tortworth School, in which they drew. Sadly, Rangeworthy were then knocked out of the competition during extra time. Tries were scored by Grace, Oliver, Lola and Sophie. Well done to all those who took part. 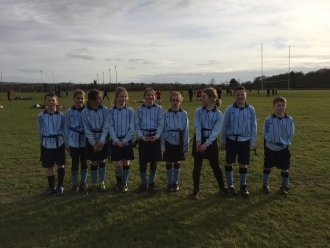 Rangeworthy currently stand in 5th position in the league after taking part in the first of the Cotswold Small School Football League Matches at Yate International Academy. 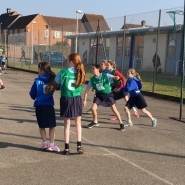 We played two matches against Iron Acton School. The first match counted towards the league and was a very close game. Unfortunately, Rangeworthy lost by one goal to nil. The second game was a friendly game which allowed the children to practise their skills and gain more experience. All the children enjoyed the afternoon and are looking forward to improving our position in the league. 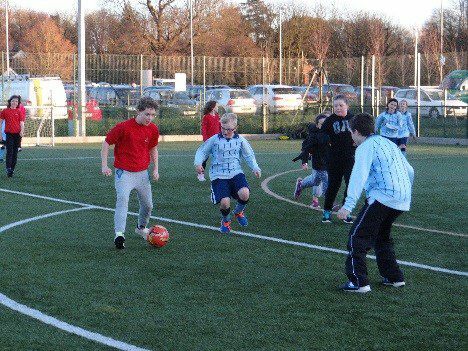 We played against St Paul’s Primary School – Yate. We won 9:3!! On a cold and gloomy, wet Tuesday afternoon Rangeworthy fought a hard battle against a tricky St Paul’s side. The conditions were dreadful due to the severe weather. It was more like a swimming game than football game! Rangeworthy started fast after Louis Gough played a ball through to Grace Smith, who took a nice shot that fired Rangeworthy 1.0 up. Moments later, Smith got her hat trick. At half time Rangeworthy were 3.0 up. When the second half began, number 10 for St Paul’s, who had quick feet, took a shot at goal, which missed by inches. Soon after, Rangeworthy brought Matty Lambert on and Jazmine Sage came off. Finally, St Paul’s number 10 got their first goal again and the score was 3.1 to Rangeworthy. Sasha Sage pelted it up the field and Smith got the touch through to Gough who put it home for Rangeworthy making it 4.1. Jazmine Sage won the ball well and passed to Smith who found Gough. His shot hit the foot of the defender and it rolled in for 5.1. With an instant reply, St Paul’s hit straight back again. Number 10 shot straight at Matty Lambert who did a fantastic save. However, the second try bobbled in making it 5.2. Rangeworthy’s Ollie Sandle put a nice ball into the corner for a super finish and 6.2. The St Paul’s number 10 shot hit Jazmine Sage’s arm. It was given as a penalty which he stuck into the corner despite a valiant effort by Gough in goal. At 6.3 Rangeworthy were on fire: Gough bagged his hat trick 7.3 then Smith got another which made it 8.3. St Paul’s were put under pressure by Rangeworthy which lead to Smith and Gough both scoring again. 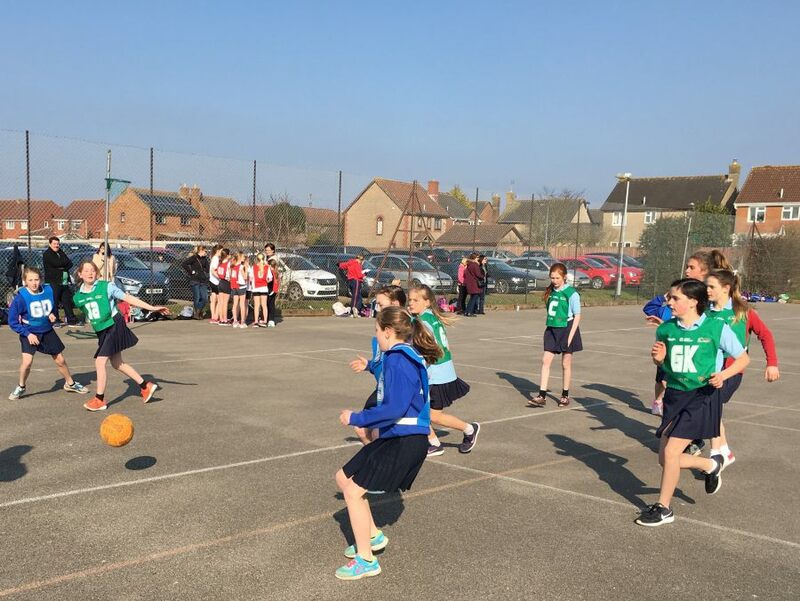 Twelve children from class 3 attended the first Cotswold Small Schools Year 5 and 6 Dodgeball Competition at Yate International Academy. Congratulations to Hawkesbury for winning the competition. Well done to all the pupils who displayed honesty and great sportsmanship. Thank you to all the parents for their support at the event, particularly Mr Sage who acted as Team Manager. All the children enjoyed the event and we are looking forward to competing again next year. On 5th December, some of the members of our fencing club took part in a fencing competition in Bath. The children took part in lots of separate bouts and were then divided into 2 groups for the second round. During the second round, the points they scored then counted towards their final place. All of the children competed really well and were a credit to the school. Jack also achieved 12th place and Grace achieved 2nd place. Well done to all. Some of the sporting activities that took place during 2014-15.